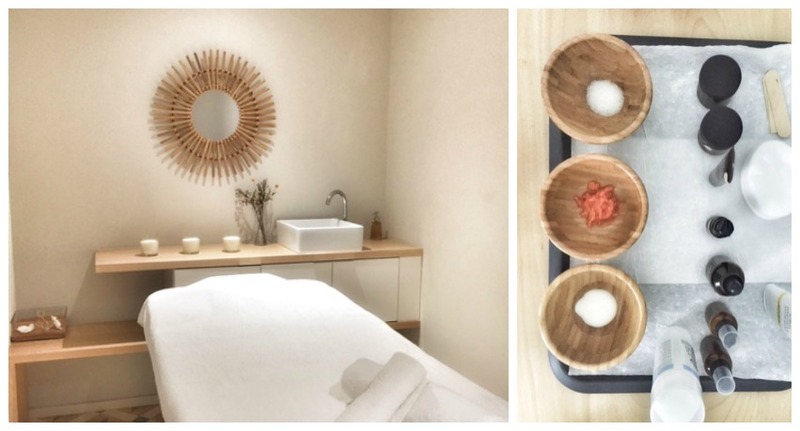 There is a little sanctuary of organic and holistic approach to beauty in our favorite sandbox: Kure Beauty and Spa. I absolutely love this little Dubai gems. And here's why I can not wait to go back. Walking into Kure is delight to the eyes. A well designed and inviting space, bright but soft, inventive but comforting and most of all very welcoming. I loved the combination of earthy tones, wood elements, stone and metal details. There is a Scandinavian influences mixed with a Mediterranean inspiration - what not to love? 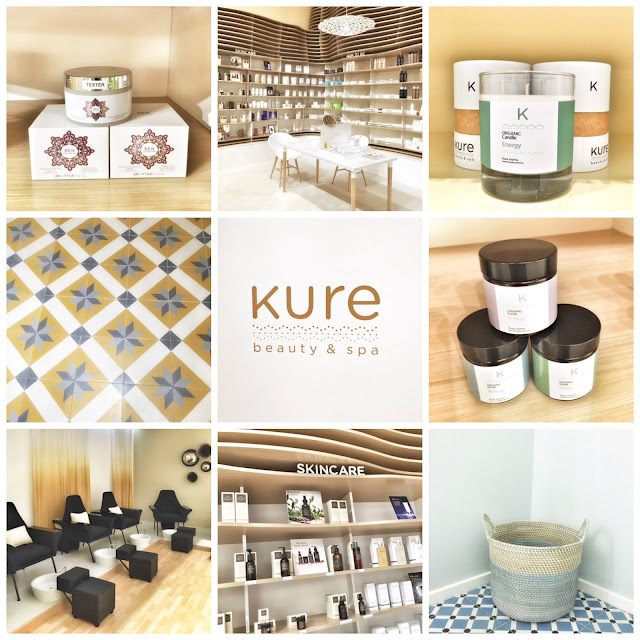 Kure Beauty and Spa offers the same standards of Dubai top luxury spas with a simple down to earth approach to design. I had the opportunity to try out a facial. After a skin consultation, the therapist selected the best procedure for my needs. It was a perfect combination of raw ingredients (yogurt, fresh papaya and sugar) and John Masters Organics formulas, customized to best suits my skin. The treatment was to target my t-zone, deep cleaning, dry patches, sun pigmentation and to boost the natural glow of the skin with vitamin C. The procedure was perfectly conducted and the lymphatic massage around the visage, neck, shoulders and arms with pressure points was the little extra that makes it just perfect. 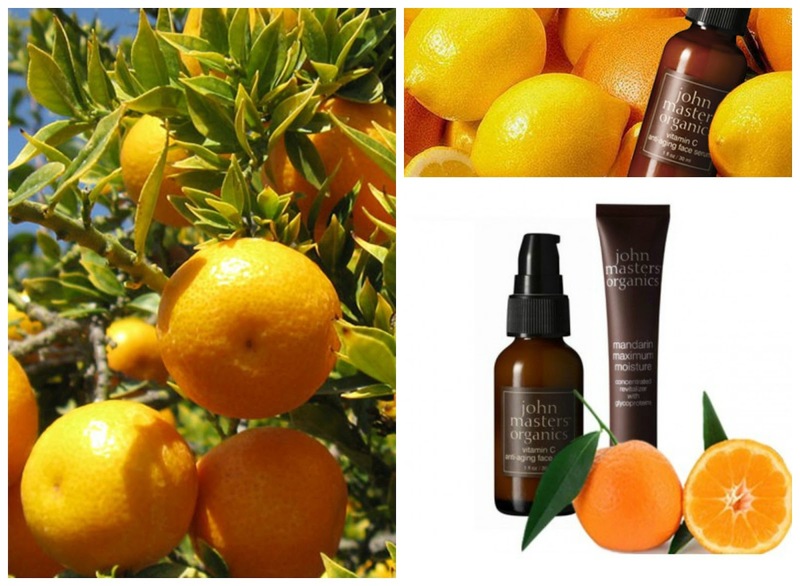 Facial prices, from AED250 for a 30min raw or detox facial to AED550 for a 60min Vitamin C.
I am now using John Masters Organics Vitamin C anti-acing serum , it's a great natural moisturizer with a powerful, age-fighting formula. Recommended by the therapist, it brings out a healthy glow, reduce the appearance of wrinkles and pre-mature aging. Extracts of sea algae and rosebud provide intense moisture and antioxidants to help procollagen production. Superoxide dismutase and acerola help fight cellular aging and helps replenish tired and stressed skin. A new must in my skin care routine. 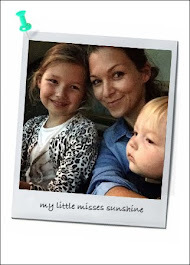 Thank you to the lovely Myriam Sarfati, mind, heart and soul behind Kure Beauty and Spa. Organic beauty retail and spa outlet providing women in the UAE brands with next generation technology combined with ethically sourced 100% BioOrganic botanical formulations. It's defiantly a new address added to my little black book of Dubai best.